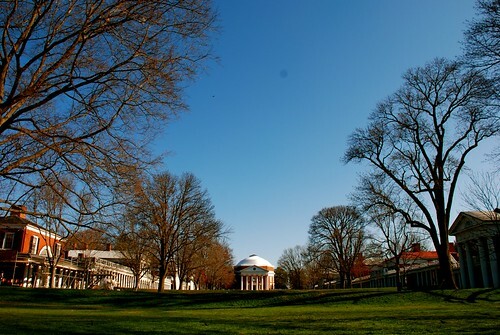 The University of Virginia, an endowed institution founded by Thomas Jefferson. The column is written by David Swensen, the chief investment officer at Yale and Michael Schmidt, a financial analyst there. Ask me to parse that quote, and I’d say Jefferson was defending “the opinion of people” and using newspapers as an example of one way the opinions of people are shared, but the way Mr. Swensen and Mr. Schmidt read it, Jefferson is arguing that the institution of “newspapers” is what he’s defending. I view that argument as an incredible leap in logic that could only be conceived by institutional endowment managers who have only an “endowment hammer” in their tool kit, so therefore the problem at newspapers look to them exactly like a nail. But let’s turn away from the philosophical notions of Jefferson, and ask if we should model modern institutions on his business acumen? I have no doubt that if he were alive today, Jefferson might agree that newspapers should be shielded from market forces — he operated his personal affairs in such a fashion. As his money management skills led to economic collapse, he may, indeed, ignore the price that would need to be paid at the end of the day. And perhaps because of his willingness to overlook the financial details, Mr. Jefferson would allow Mr. Swensen and Mr. Schmidt to get away with suggesting that being an endowed institution would provide newspapers with “autonomy while shielding them from the economic forces that are now tearing them down.” Maybe Mr. Jefferson could, like the writers, ignore that economic forces are currently threatening (tearing down?) the endowments of institutions, like, say, Yale, where 44% of the operating expenses are covered by earnings from an endowment that has fallen dramatically in recent months? Maybe if he were alive today, Mr. Jefferson would be baffled by the notion of “saving” newspapers. When not being a newspaper-defender or a long list of other wonderful and not-so-wonderful things, he was a lover of (and inventor of) technology. His passion for discovery and innovation leaves no doubt to me that he would be amused by the notion that Mr. Swensen and Mr. Schmidt would be defending a medium, and not the message, of what he was saying in that statement. Thought and enlightenment and the free exchange of ideas and freedom of speech are what Jefferson was using the word “newspaper” to collectively describe. And another thing: Which newspapers should be endowed? While Mr. Swensen and Mr. Schmidt focus on large newspaper organizations, Mr. Jefferson had no knowledge that one day there would be such businesses. To him, newspapers were independently run and independent voices with business models vastly different than those which Mr. Swensen and Mr. Schmidt are defending. Frankly, the newspapers of Mr. Jefferson’s day were more akin to weblogs than media companies — extremely small enterprises owned and run by an individual and focused primarily on a niche market and interest. My point: Those who want to use the word “newspaper” as a literal term must also use the word “press” in its literal form and argue the First Amendment only applies to that exchange of opinion which is disseminated using the technology of the 18th century. Many things Thomas Jefferson endowed us with should, and must, be preserved and defended with all our country and we as individuals can provide. But we should view this particular quote and his use of the word “newspaper” as a metaphor for all media that enable free speech and the free flow of ideas and “the opinion of the people” and not a literal business or non-profit entity that should be endowed.